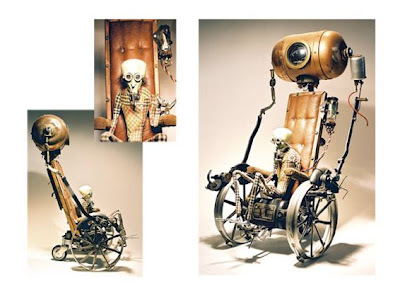 Sculptures made by Stephane Halleux. 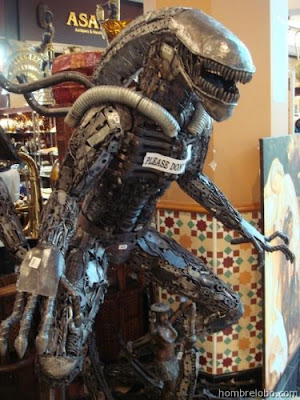 Alien... 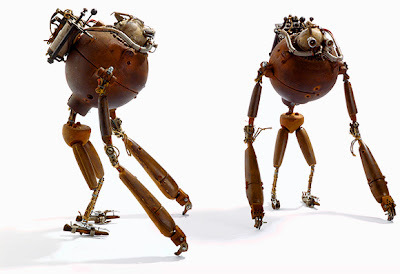 I think it is not "fully" steampunk, because it is missing victorian style and there is too much chaos in those mechanical parts, but i think in overall it is very interesting and it is not bad idea to put it together with other steampunk robots/machines. 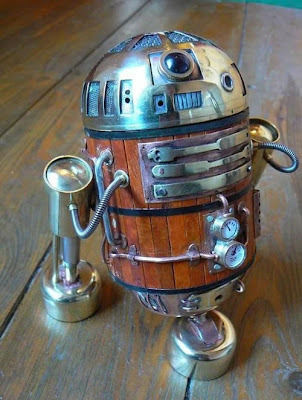 R2-D2 in brass and wood. Many details, nice and shiny.... masterpiece.